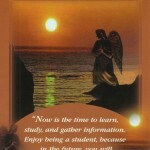 We are aware that the Free Online Angel Card Readings are currently down here at Angel Messenger. Thank you for your patience while we work to repair this issue. Apparently WordPress pushed through a security update to all WordPress websites last night that is blocking certain code from being used. Because of the way we have our free reading code installed here, that code is being blocked. However, the Free Tarot Readings on our sister site are working normally and can be found here … http://www.freetarotcardreadingsonline.com/free-tarot-card-readings/. You may also notice that our online store is gone and all our Google advertising is an odd looking text, and that’s because all that necessary code is also being blocked. I don’t know what they were thinking pushing this update through, but many website owners are upset. WordPress will probably push through another update to fix their mess, but we are working to get the readings back in another way as soon as we possibly can. Again, thank you for your patience. If you would like to help support the work we do here, please consider making a donation or get an on-demand reading with one of our trusted affiliates. Angel Messenger is mostly supported by Google Ads. While this is going on, we will be at about a 80% loss of income. ***UPDATE*** The readings should be working now, but you may still notice some glitches and a few things that may look funny. We are still working to repair the issue. Hello my name is Tammi Ladora Harper McCullough and my date of birth is 01-04-1968 and I would like to know if someone is coming into my life who will treat me like a queen and me on their knees and knock at my door, someone around my age, and also my financial will I come into some money and when will all this take place and where.